Home | It’s a Wrap.. Delta Aspire Seniors Impress at Nationals! 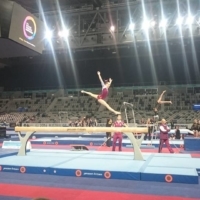 This weekend wrapped up an exciting two weeks of competition at the 2016 Australian Gymnastics Championships held in Melbourne! 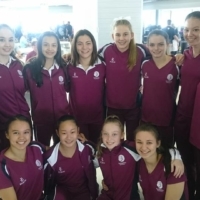 21 amazing Delta Aspire gymnasts from Delta Brisbane, Delta Gold Coast & Barron Valley Gymnastics took on the best in Australia, competing in two rounds of intense competition. 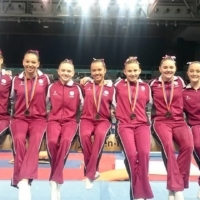 Memories were made, dreams were realised & personal bests were achieved…wow – what an event for our Delta gymnasts, coaches & their QLD team mates! 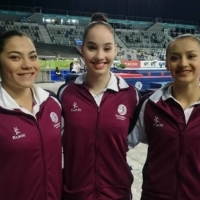 With live streaming, big screen playback, opening & closing ceremonies & podium performances – this year’s Nationals truly was our gymnasts very own “Olympic experience”! 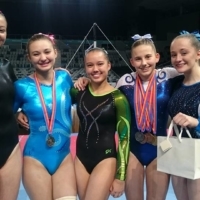 We are so proud of our 3 Australian Representatives, 3 Individual All Round Podium Finishes, 3 National Apparatus Champions, 6 Silver, 8 Bronze Apparatus Medalists & 9 Team Medals! 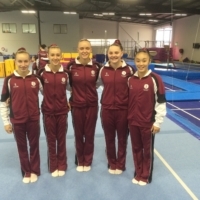 Delta Brisbane gymnasts Christine Cross and Madison Young were selected in the WAG level 10 Australian Team! 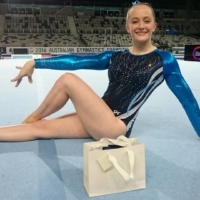 Barron Valley gymnast Leah Everist has been named Australian Team reserve. The girls will represent our country against New Zealand in October! 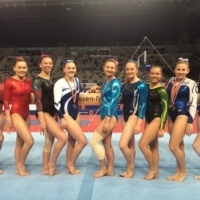 Delta Brisbane coach Wendy Gilliver has been selected in the Australian Coaching Team for this event! 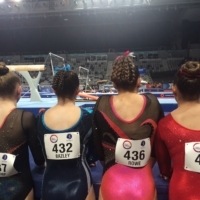 Delta Brisbane gymnasts Madison Young (level 10) & Samantha Watkin (level 9) placed 2nd overall in Australia and Isabelle Musgrave placed 3rd overall in the level 8 competition! 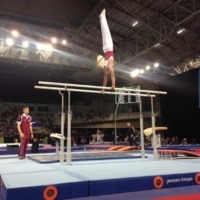 Barron Valley MAG gymnast Haney Martens became the National Champion on Parallel Bars! 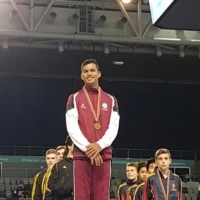 Delta Brisbane Snr Elite gymnast Georgia Godwin took out the bronze medal in Bars apparatus final (this is the highest level of competition at Nationals)! Delta Brisbane gymnast Neilena Bazley was recognised for her beautiful floor choreography & performance, winning the prestigious Carol Sussman award for Floor Artistry! Delta Gold Coast coach Lauren Park was awarded the 2016 Australian Development Coach of the Year! 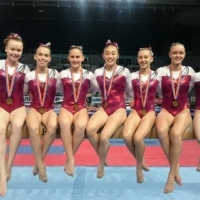 Delta Brisbane level 10 gymnast Larissa Lum captained Queensland to victory, winning the 2016 Pride Cup (awarded for outstanding performances across the WAG Level 7-10 event)! Isabelle Musgrave (15 years& over) – Team Gold, 3rd overall, Bronze medals Beam and Floor, 5th place Vault and 4th place Bars. Monique Morgan (Under 13) – Team Silver, 27th place overall. Anna Rowe (Level 10 Under 16 Years) – 9th Place Overall, 5th place Beam and 6th place Floor. Grace Jamiesen (Level 9 16 years and over) – Team Gold, 13th overall, 4th place Bars and 5th place Floor. 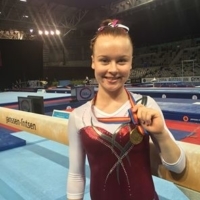 Haney Martens (MAG Level 7 Open) – Team Gold, 7th Overall, National Champion on Parallel Bars, 6th on Pommel & Rings.